There's much talk about the grim statistics of businesses which fail within their first year. You've probably heard them: one out of two, eight out of 10. In actual fact research published in the Sydney Morning Herald indicates it's just 1.5% that don't make it through to their first anniversary. Instead, it's the first four years that count. It's the times when businesses have ' to be brave and grow", according to analytics and data firm Veda. Here are five reasons businesses fail and what you can do to avoid it…shared by Clive Enever the Business Mentor and founder of The Coaching Circle. Business planning isn't something that ends with the first draft of strategies, market research and financial projections. Like the actual business, a plan should evolve in a proactive manner, noting your successes, charting the failures and responding accordingly. It's a living document that needs re-evaluation, honing and restructuring over time. Many a business has a great product, excellent staff and fabulous premises but that means nothing without communication and interaction with your customers. Business is about feedback and promotion: knowing what the consumer wants and telling them you have it. The best way to manage this is though two-way communication with your clientele. So you've defied the perceived odds and made it through the first year. Excellent…what about the next three? How do you fund expansion, deal with recession, offer more, or handle additional staff and production? Somewhere along the line every business hits the sweet spot where they've been through the good and the bad and know exactly what cash and resources they need on hand, but until then play it safe and plan, plan, plan. A great initial idea is only the beginning of business, after that's it's about adaptability in a changing market. Many a successful business has sunk after years in the industry because they were too set in their ways to embrace mobility; to see what might be on the horizon and change tack accordingly. It's about 'bravery and growth" or being willing to embrace the entrepreneurial spirit and take a calculated risk. You might have had the idea, you might have provided the initial capital, but are you the best person to lead this team? Or is there someone better for the role at a different time? Management not only dictates the direction of a company but the ethos and morale within it. Good management will look within and outside a company for inspiration and direction. It will operate with clinical efficiency, passion and zeal. That means to ensure business success you may need the humility to step aside and bring in fresh resources when you're outside your comfort zone or the battle of business sees you fatigued. The beauty of business is that it's about independence, creativity and lifestyle. But there's no one-way ticket out of hard work, passion and endurance. By knowing the risks, the course to take to counter them and by remaining vigilant and nimble, business can take you to heights you never dreamed of and the satisfaction you deserve. 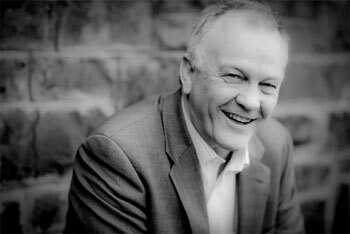 Clive Enever has worked with Australian businesses for more than 30 years. You can learn more about his strategies to see each business embrace their potential here.